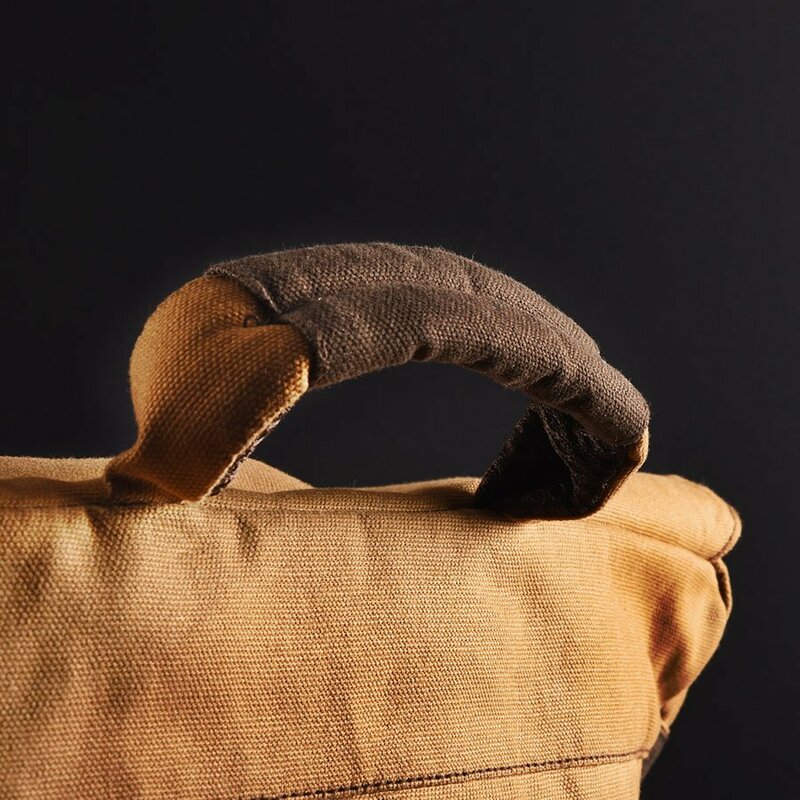 Material Used: 100% Cotton Canvas, Brass Fittings, Ropes. Specs: Detachable 15″ Padded Laptop Sleeve. 12L Capacity. 1 Bottle Holder. 2 Front + 2 Side Pockets. 1 Inside Zipper Pocket. 1 Back Pocket. 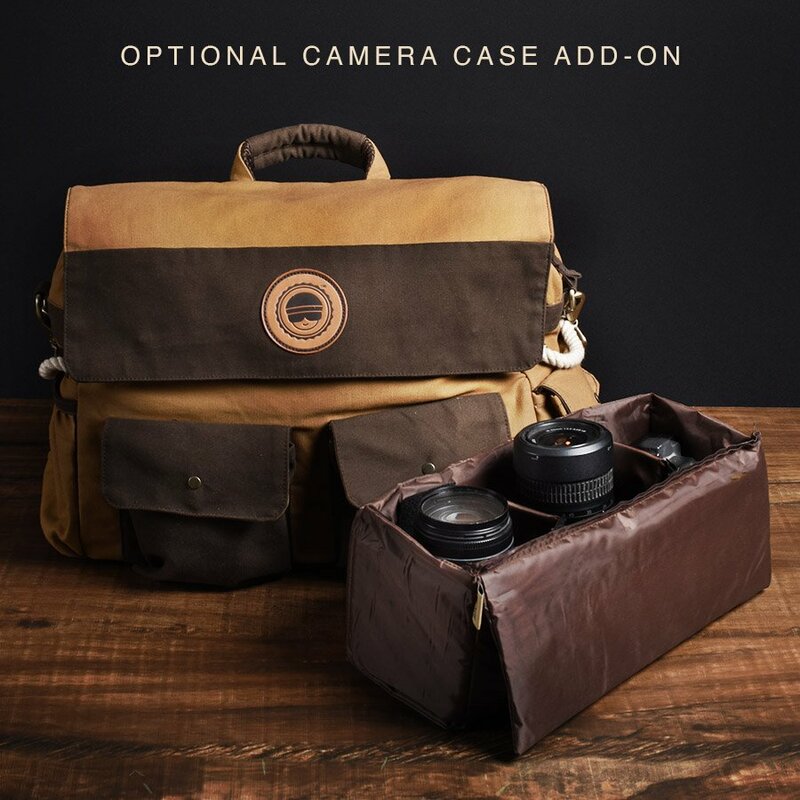 Optional Camera Case Add-On. Get 35-39 Trooper Coins on this purchase! Made from tough and long lasting 100% cotton canvas. Magnetic fasteners. Brass plated metal buckles and hooks. Waterproof inner-lining to prevent against light rains and accidental spills. 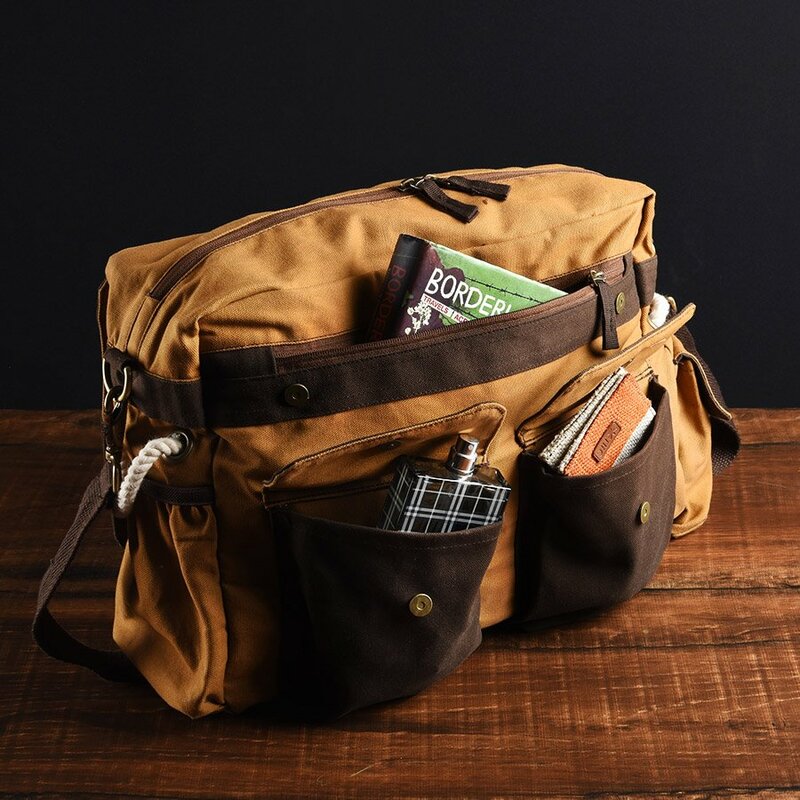 The main compartment has a 12L storage that also houses a removable laptop sleeve. 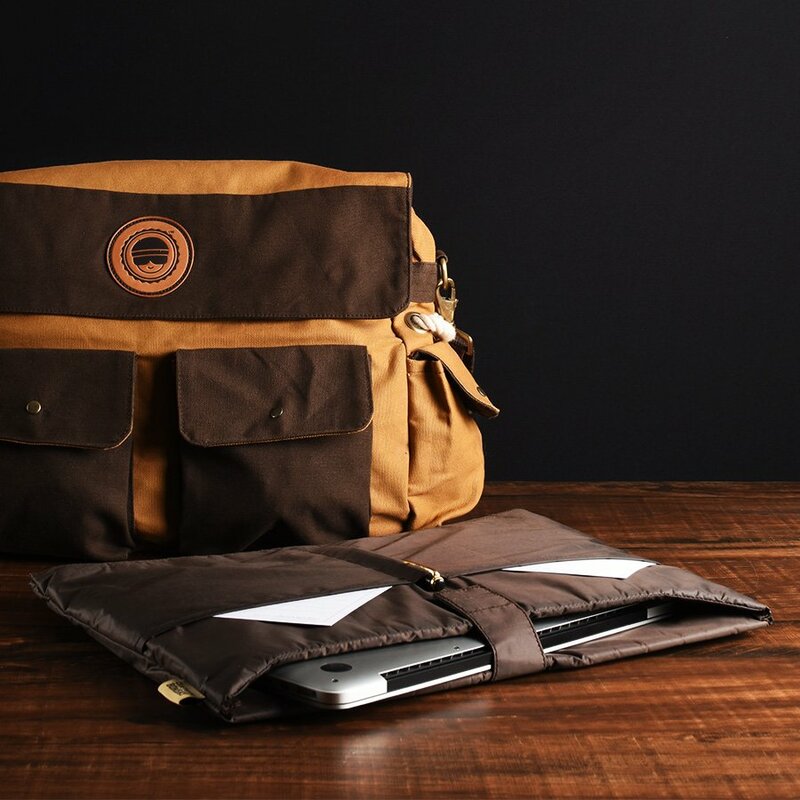 The laptop sleeve is made from waterproof liner and foam padding and features 3 organizer pockets. Two Front Pockets for knick-knacks. 1 Bottle Holder. 1 Side Pocket. 1 Inside Zip Pocket for secured, valuable objects. 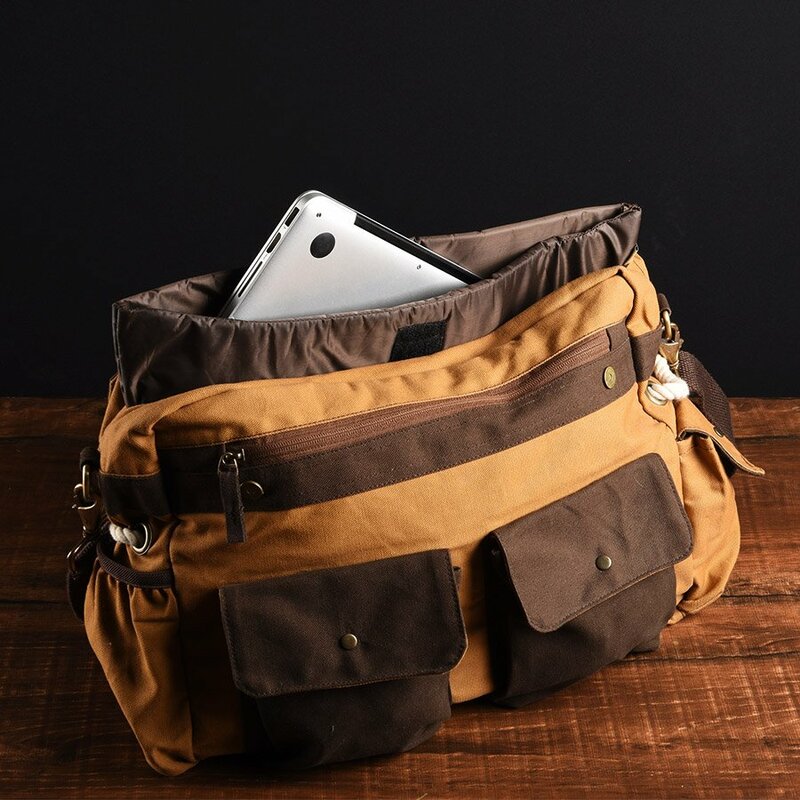 1 Back Pocket for iPad / Documents. 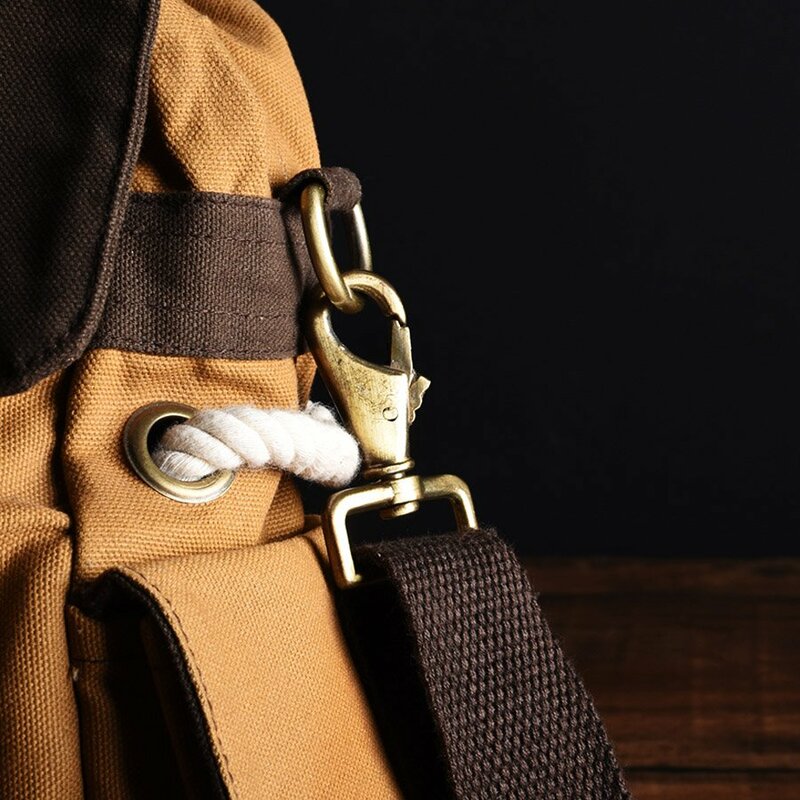 The shoulder strap is attached with a quick release buckle and can be easily removed to convert it into a soft briefcase with a handle. 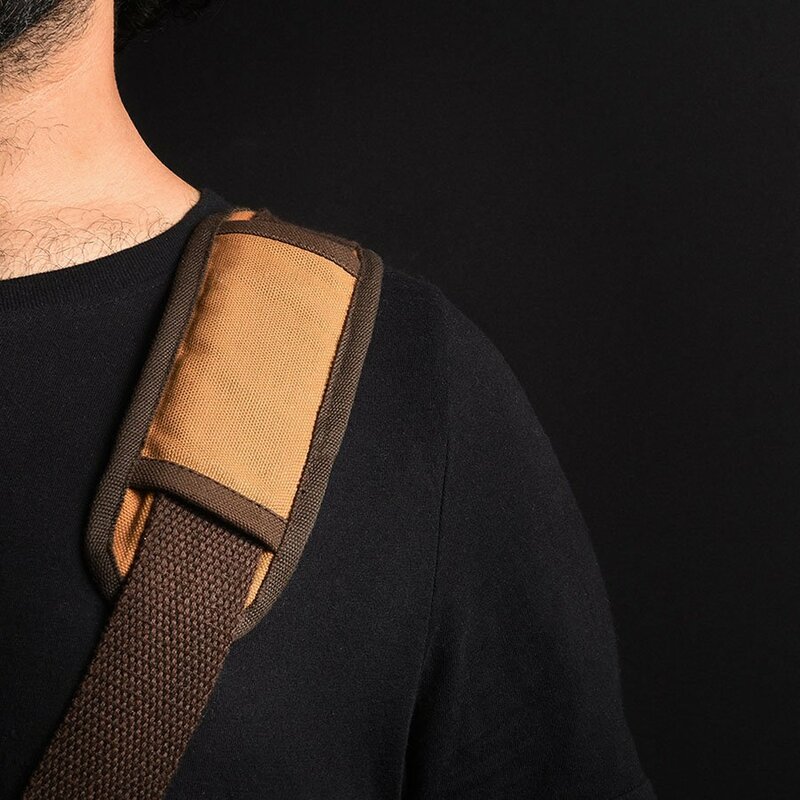 The shoulder strap is made from 100% cotton and has a movable foam-padded support. 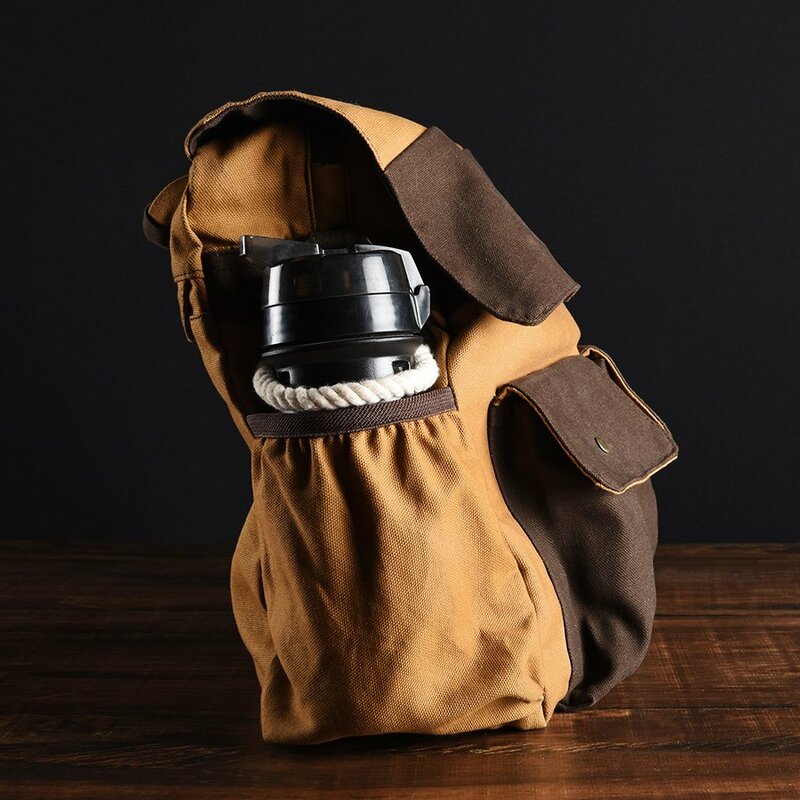 This add-on camera case fits into the main compartment snugly, making this an ideal bag for casual photo walks and outings. The case has three partitions and can house 1 DSLR body along with 2 standard size lenses, all inside a waterproof foam-padded casing. 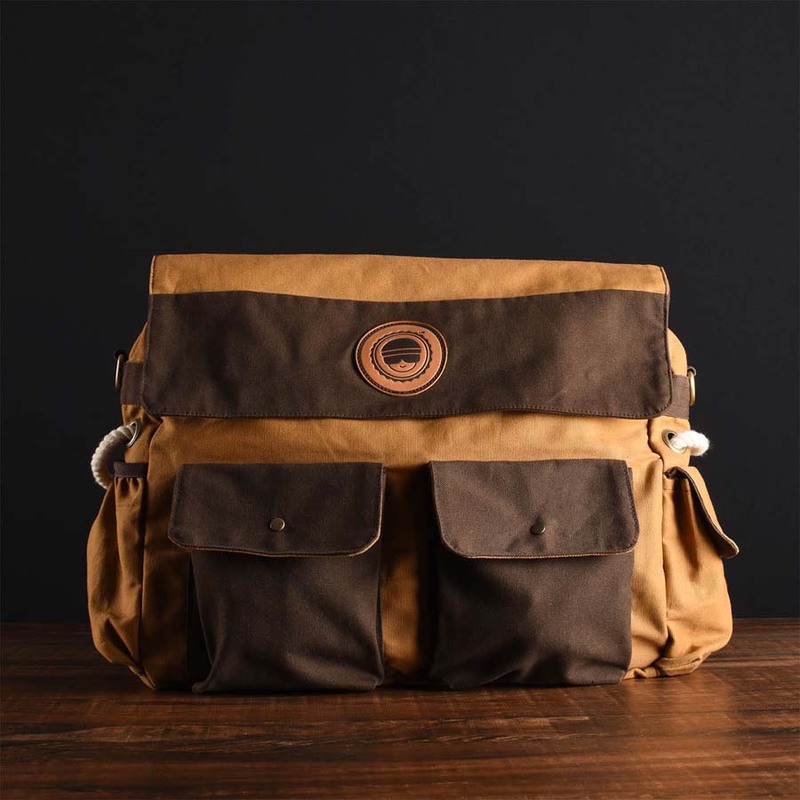 Proudly made in Bombay under our trained professionals that have imbibed our design philosophy that goes into creating and making each and every Trooper Bag. 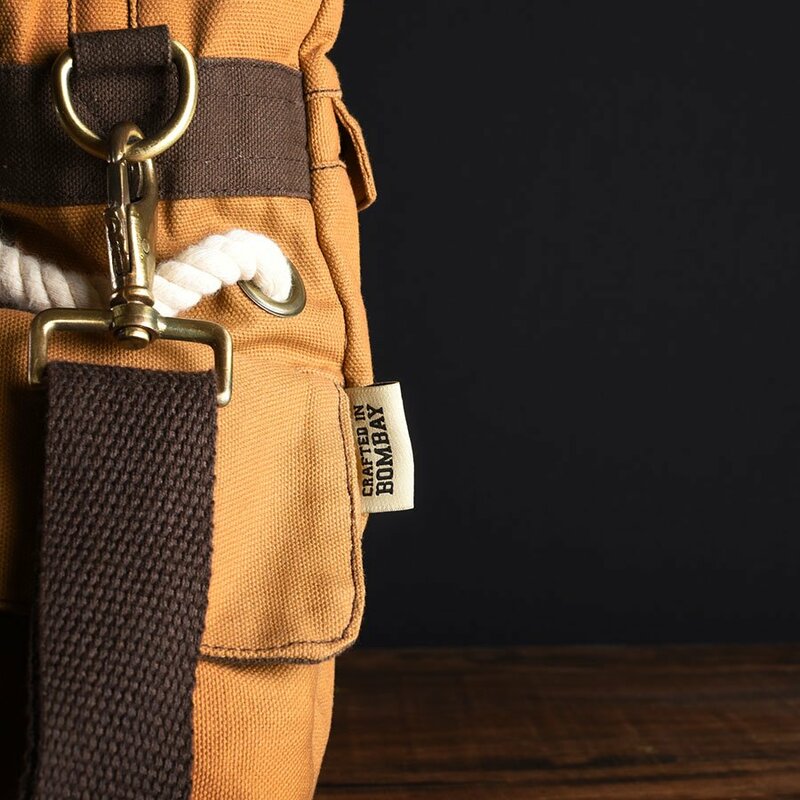 WARRANTY: One year warranty on stitching, buttons and buckles. Free repair or replacement will be provided, depending on the type of defect. 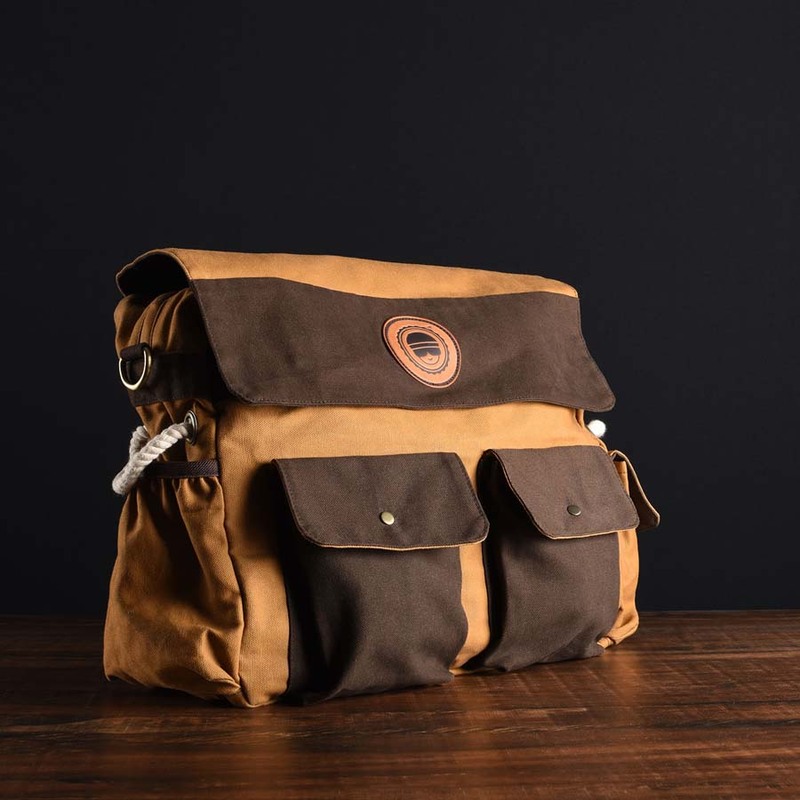 Tag us on instagram @BombayTrooper sporting your Sling Messenger Bag and get featured here.